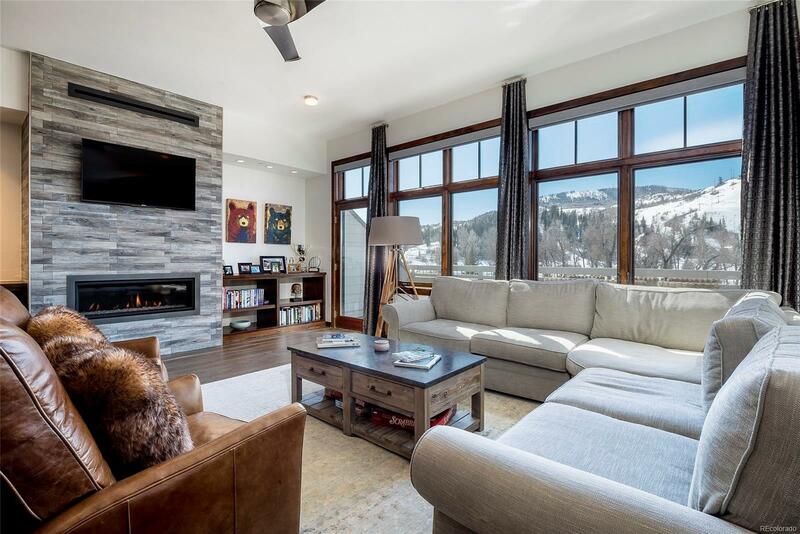 This top-floor penthouse in the heart of downtown Steamboat Springs is unparalleled in terms of privacy, convenience and luxury living. This residence includes 3 bedrooms plus a bonus room that can be used for additional sleeping quarters or home office. Overlooking Yampa Street with direct views of Howelsen Hill, Mt. Werner and Sleeping Giant, the vistas you’ll enjoy from the 600 square foot wraparound deck are unsurpassed. Smart features you’ll love include electronic blinds in the living room, blackout curtains in each bedroom, pantry/wine closet, Wolf oven with 6 burner range and an efficient snow melt system on the porch. Recent upgrades include a new fireplace, kitchen floor and carpeting throughout. A secured underground garage includes 2 assigned parking spaces and 150 square foot enclosed private storage to house your additional gear and personal items. The HOA dues include a private ski locker located at the ski resort base just steps from the gondola.